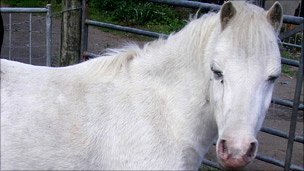 A couple already banned from keeping animals for life were found in a RSPCA raid to have a pony, geese and goats in a “stinking” cellar at their home. 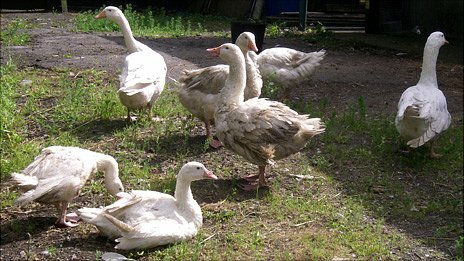 Eric and Doreen Buckley had nine geese, two goats, a pony, as well as 11 dogs and a cat in a converted Rhondda pub, Pontypridd magistrates heard. Both were bailed after admitting five charges of causing unecessary suffering and two for breaching banning orders. 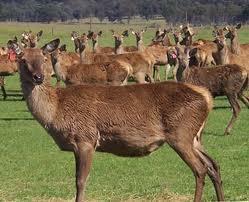 A RSPCA inspector said it was “beyond anything” she had seen before. The Buckleys were warned they could be jailed. The court heard how police and the RSPCA raided the Buckley’s “stinking” home in June 2010 only to find they had left over night. 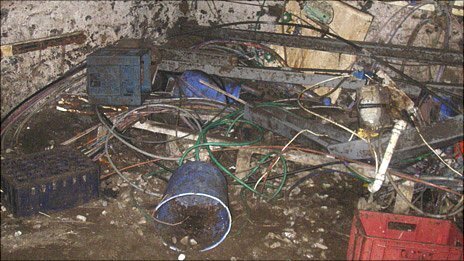 The property, in High Street, Gilfach Goch, was in such a putrid condition, it was regarded as proof of breaching animal welfare rules alone. 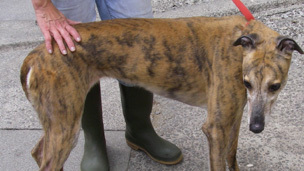 At one point up to 13 retired racing greyhounds had the run of the property, which they used as a toilet. Most though were kept in an unlit cellar, which was almost an inch deep in animal waste. said RSPCA inspector Nicola Johnston. Ms Johnston described how she found worse conditions inside the unlit cellar. “You stood there in complete blackness squishing and squashing underfoot as you walked,” she added. The air was stagnant and stinking. This is one of the thirteen dogs in the unlit cellar. There was particular worry about the 13 dogs condition. Ms Johnston said three dogs in particular had to receive comprehensive dental surgery as a result of their condition. Buckley, 56, admitted all the charges against him on Friday on the eve of a trial. His wife, 46, failed to attend but had previously made full admissions to all charges through her lawyer. The charges they faced related in particular to four dogs which were found to be suffering flea infestations, ear infections and oral disease. “This is a serious case aggravated by the fact that there was an order from a magistrates’ court which you breached and which led to the suffering of these animals,” said district judge Jill Watkins. They were warned they could face a custodial sentence, with the case adjourned until 17 June. The couple had already been banned from keeping dogs for 10 years due to animal welfare breaches in 1993. The couple appeared before magistrates in Kingston upon Thames, where they were living at the time, on both occasions.